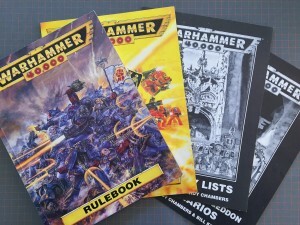 I just took delivery of the rulebooks for Warhammer 40k, Second edition. The week goes well so far! 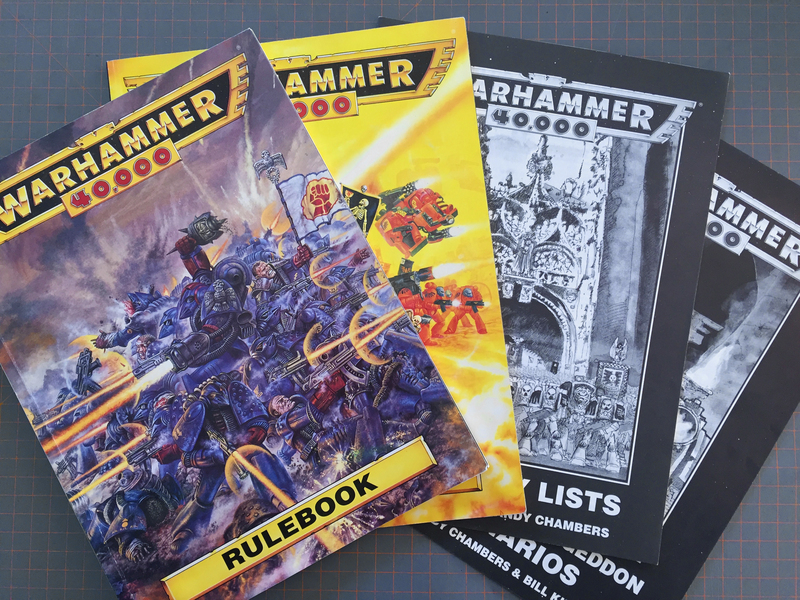 All my best gaming memories in 40k stem from this ruleset and I’ve never quite enjoyed 40k through other editions since. Now to have a few quick games and get my head back into the more detailed second edition combat and figure where I can splice in Necromunda traits nicely. Will have to seek out Dark Mmillenium rules next..
Necromunda and 2nd edition mesh quite nicely (hence the whole =I=Munda phenomenon), being essentially the same ruleset with one focussed on squads and the other on individuals. To make things super easy, ten Necromunda credits equals one 40K 2nd ed. army building point. Seeing your track record for awesome, I can’t wait!